Hello there my favourite people! Well today I am throwing in a skincare product review! Now I love skincare, I’ll be sometimes I’m not the most consistence with maintaining a skincare regime (I always take off my makeup!) but I mean consistently keeping up a morning and night time skincare routine even on no makeup days is tricky business! Aside from that let’s talk about micellar water! Ever since micellar water first became a thing I feel we’ve all embraced it with open arms. This is especially the case since affordable skincare brands have been launching micellar waters. I mean who wants to pay a lot of money for a micellar water. Today I am going to be talking about the micellar water from the lovely brand – sukins! A brand that I am very familiar with because I’ve used lots and lots of their stuff! Okay enough chit chat, let’s roll on with the review! Targeted skin type: This micellar water claims to be suitable for all skin types! Facts about this skincare product: It is sulphate and paraben free. It is a micellar water infused with cucumber and chamomile. It doesn’t contain any animal derivatives, no synthetic fragrances, no mineral oils, no artificial colours or any harsh detergents. It is 100% vegan. It is Australian made and owned, 100% Carbon neutral and no animal testing. What is its purpose? The idea of a micellar water is to clean the skin without needing to rinse. So if you are looking to remove your makeup or freshen up your skin without needing access to water. Though many of us just use this as an additional step in are skincare regime to clean and soothe our skin as well as remove any makeup residue. Packaging: A standard bottle with a flip lid that exposes a small opening to get the product out and control how much you want on your cotton round. Does it achieve this? Yes it does! You skin feels clean and soothed and it gets any residual gunk off. Did it irritate my skin? Not even slightly! It’s very soothing and gentle on the skin. How many times a week do you use it? You can use it on the daily! Morning or night? : Either or both if you’d like! Pros: It’s soothing and gentle on the skin, an affordable product, you get a lot of product, it does leave your skin feeling clean and fresh. It’s good at removing makeup and any makeup residue. Cons: I have no complaints, I’d love them to come out with an even bigger size if possible! Overall thoughts: I love this micellar water! It’s so gentle on the skin, does a great job at leaving your skin feeling refreshed, hydrated and clean. You get a lot of product for a bargain! I have absolutely no complaints about this micellar water! I definitely recommend this one for you guys to check out. Would I repurchase it? Definitely! I need to repurchase this immediately as I literally have one use left. And that wraps up this post! Have you guys tried this micellar water or any micellar water? What was your experience? Drop a comment and tell me about it. I hope you guys have a wonderful day, I love you guys and I’ll see you in the next post! I have tried a few products from Skin and I love them. A great budget friendly natural brand! I really want to try a micellar water so I feel like this might be a good place to start! Definitely! There are so many affordable and incredible options now so you don’t need to spend lots of money to try one out. I’ll have to try this one. 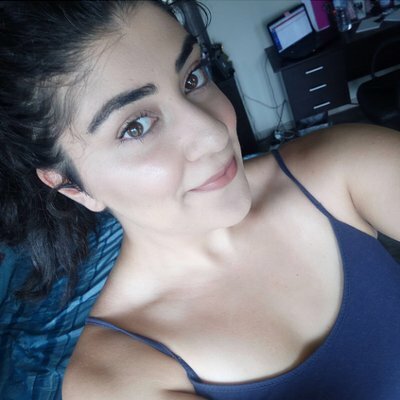 I love Sukin and all the products I’ve tried from that brand are so good! I highly recommend it, It’s such a lovely micellar water. I love micellar water! Such a great way to remove makeup and freshen up the skin. This one in particular sounds great, and budget friendly. Micellar waters are definitely versatile and I’m kind of obsessed with them. Did you use this product on your eyes or just your face? I found this micellar water burned my eyes more than any other micellar water I’ve ever used and it didn’t even really remove my makeup! I’d easily rank it my least favourite micellar water I’ve ever tried. But at least it works for you! I actually find it super gentle on my skin. Perhaps it contains an ingredient that doesn’t agree with your skin? I know many rave about garnier as a brand, especially their micellar water but that brand breaks me out like crazy. And it’s rare that a product will cause me to break out. Love this brand, especially the detox mask! It smells divine.